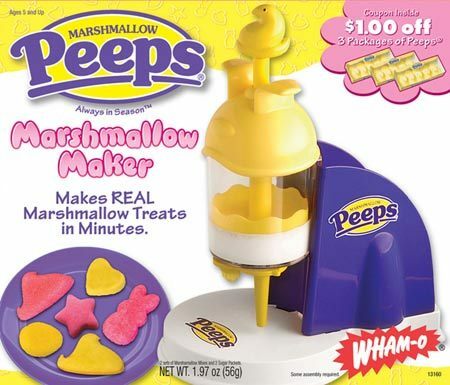 marshmallow Maker. . Wallpaper and background images in the marshmallow Peeps club tagged: peeps toy whamo marshmallow maker machine image. I have one of these. The peeps didn't turn out very well but we got a coupon!